In the original work, the Austrian composer “Peter Ablinger” transferred the frequency spectrum of Miro Markus narrating the Proclamation of the European Environmental Criminal Court at World Venice Forum 2009 to his computer controlled mechanical piano. 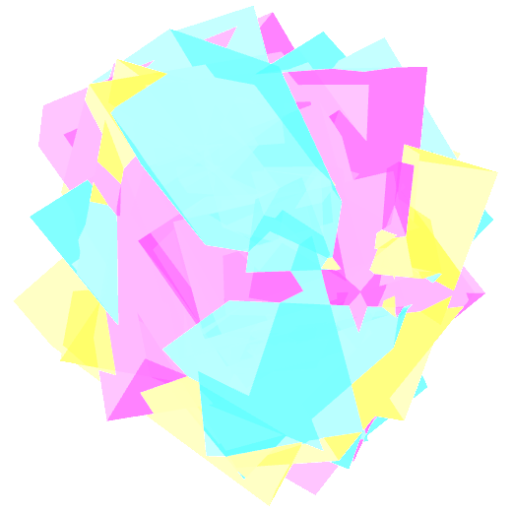 I set my goal to recreate this installation in the digital environment using Max/MSP and finally implement the solution in Ableton Live! 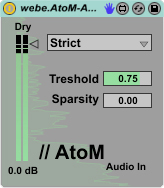 by creating two Max4Live devices. One device analyzes the audio stream for amplitude peaks in seperate frequency bands with a fast fourier tranformation (FFT). The result is then mapped to the 88 notes of a full piano scale in respect to the according frequency. 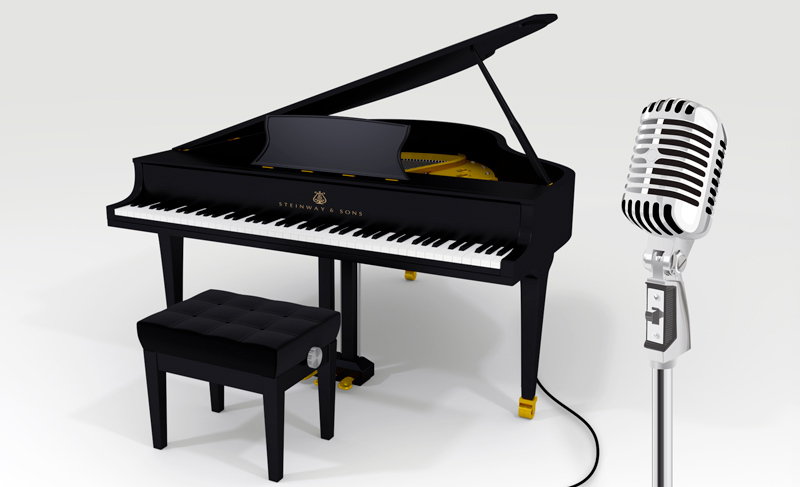 I am still looking into the possibilities of setting this up as an interactive installation using a MIDI-controlled Grand Piano, that looks like it is directly connected to a microphone. 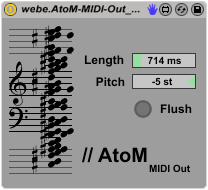 The Audio to MIDI conversion would take place inside the Max/MSP Patch and feed the resulting MIDI Notes to the Piano’s MIDI-Interface – triggering the notes in real time. Visitors are encouraged to sing and talk into the microphone, creating a playful exchange between the piano and the people.